These may be a little impractical for full-size family bathrooms, but they’re fantastic additions to any ensuites in your home. Having a wet room maximizes on whatever space you have, but it also cuts down massively on the amount of maintenance the room requires. It’s far easier to be kept spotless too, as every surface can be wiped clean after each use. If you’re dealing with quite a narrow space, wall-mounted units and toilets are must-have fixtures and fittings. They conceal sink pipework and toilet cisterns behind the wall, freeing up much more floor space. In the case of sink units, it means you can also make use of the space beneath for storage purposes. If you’re not able to have a separate bath and shower cubicle, there’s no reason you can’t combine the two. This used to be a very limiting choice, but these days there are huge online retailers with hundreds of options, such as Better Bathrooms. You’ll be able to pick from a variety of different shower heads and glass guard options, so that you achieve exactly the look you wanted. 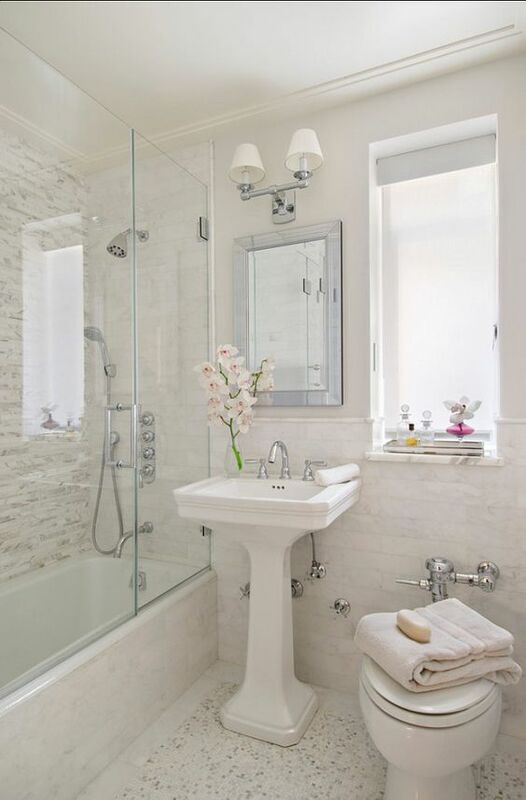 It used to be the case that you could only get small corner baths, but if you were to take a look around the best brands on the market these days, you’d find many baths, toilets, sinks units and so on that can all be fitted into a corner section. It’s all about turning a smaller piece of furniture into a style statement, so don’t disregard the corner options. 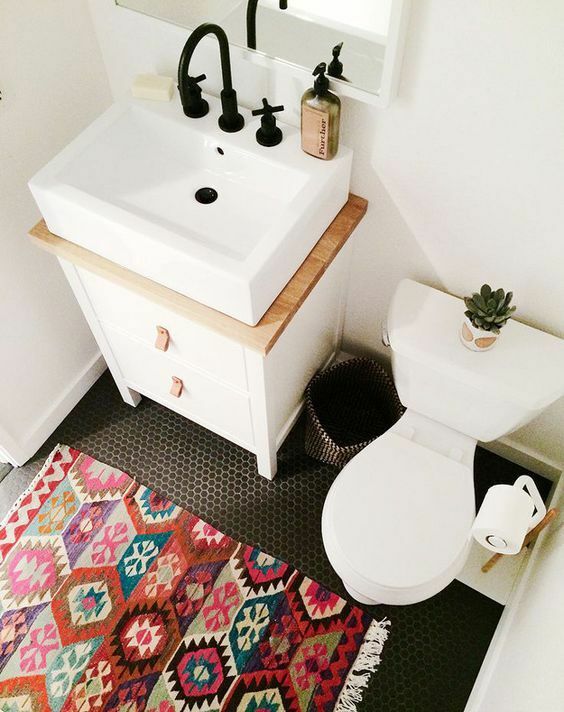 This is one bathroom decorating idea that will make a huge splash in you decor! 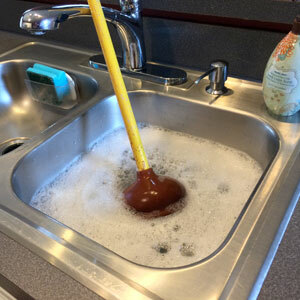 A good way to help free up space is the tear-drop sink. 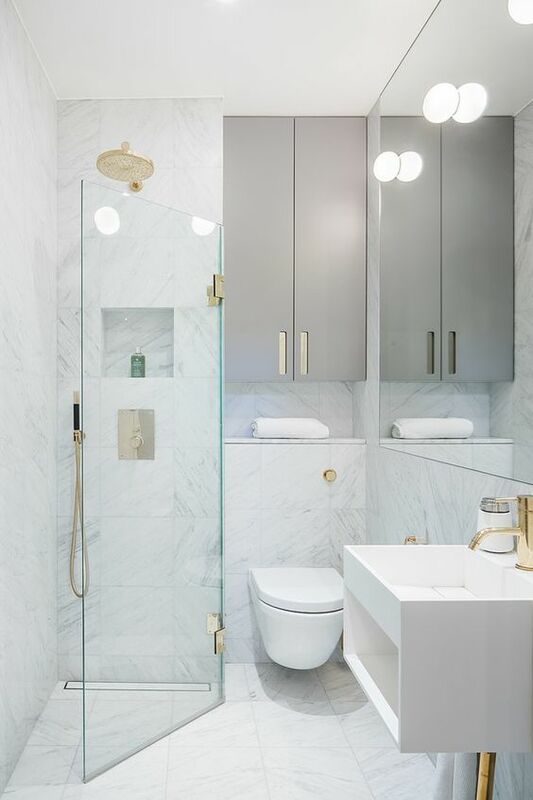 Opting for an oval shaped bowl means that, rather than having a full rectangular unit around it, you can go for a sweeping curve that makes it seem as though the sink is emerging from the wall. Just make sure you use matching tiles on the unit itself to complete the illusion – this is perfect for those wanting to achieve a unique, contemporary look. An instant fix for anyone tight on floor-space, opt for a sliding door rather than one that needs an internal allowance and you’ll have more room for furniture as if my magic! 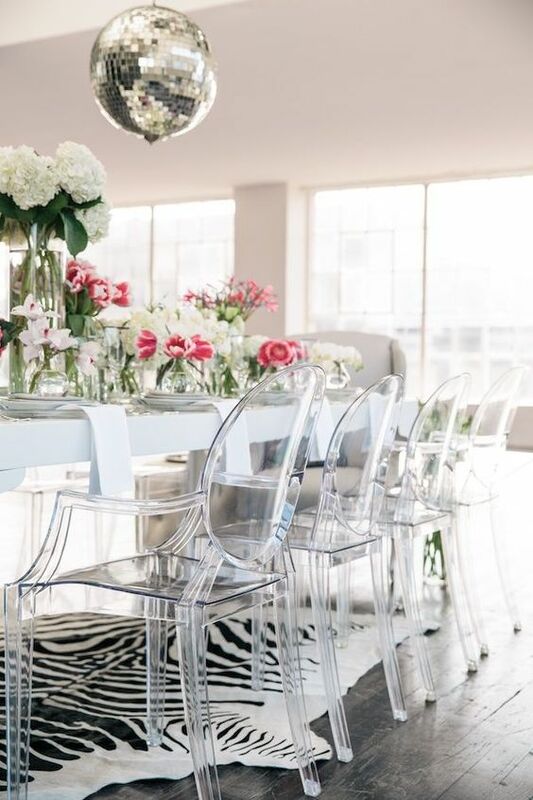 This is particularly effective if you go for frosted, opaque glass and sleek, modern lines with monochrome colouring. 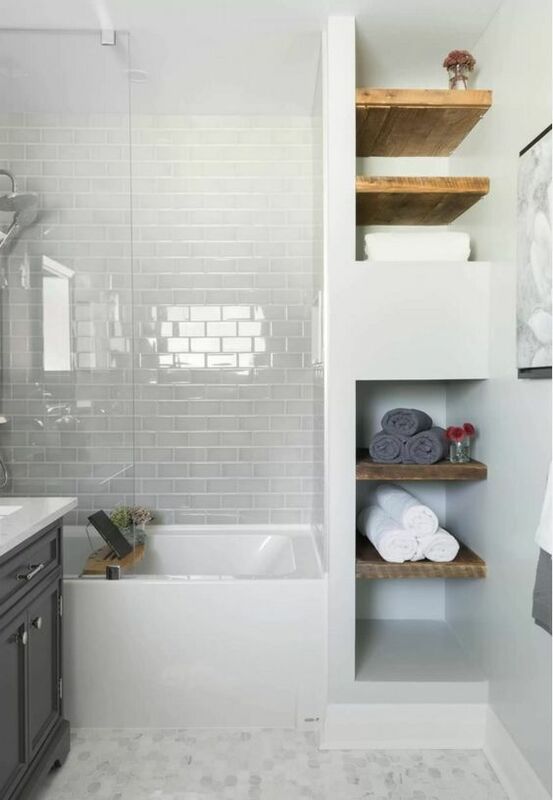 Finally, make the most of every nook and cranny in your bathroom with tailored shelving options. Most specialists will be able to make units that fit into any space, and for very affordable prices. Plus, try to think more creatively about how you can turn your walls into storage, with hanging baskets or alternative radiators. Maximize Your Living Space with the Right Decorating – Here’s How to do it!